Very often we hear that “mistakes are inevitable” and that the lack thereof means we’re not trying hard enough. Starting a business is often the realisation of a dream (that doesn’t come without its own fears) and if you don’t take your brilliant idea and turn it into a thriving business, someone else might… Unfortunately, the fear of not succeeding is human – and, somehow, we still need to face the music and get on with business. 1. Neglecting the marketing function. Marketing – often mistakenly seen as a luxury - directly drives sales. With proper tracking and reporting in place, the return on investment will speak for itself by means of brand awareness and lead generation. Not identifying a USP. Choose one single thing that sets your business apart and adapt your marketing around that. This will give you the competitive edge and attract customers who are in the market for that specific trait - your unique selling point (USP). Using the wrong mediums when marketing. Before you launch into a new marketing strategy impulsively, think about what your business needs to achieve. A Facebook page might have worked perfectly for your friend’s baby clothes business, but will it help your logistics business get new customers? You might rather need to join relevant forums, networking groups, etc. 2. Doing everything on your own. This is a common mistake that many business owners make. The sooner you learn to delegate and focus on what you – and other members of the team – are best at, the more your business will grow. Just because you are able to do something, doesn’t mean you’re the best person for the job. Your time needs to be spent wisely and effectively. are members of an appropriate professional body or trade association. MiWay Business Insurance have put together a service that offers business support - MiBusinessAssist. This service offers a range of carefully selected services that can help you with business matters, reduce unnecessary operational costs and give you extra time so you can focus on running your company. When growing your team, appoint staff carefully and thoughtfully - this needs to be a structured and high priority task. Go through a thorough interviewing process; and before you hire someone who satisfies the job spec, take a moment to evaluate whether or not this person’s personality will fit in with the culture of your business. Appointing seemingly ‘good’ people without a strategy and structure invites inefficiency and low morale. With MiWay’s MiBusinessAssist service, HR advisors and labour lawyers are at your disposal to assist with HR-related matters. 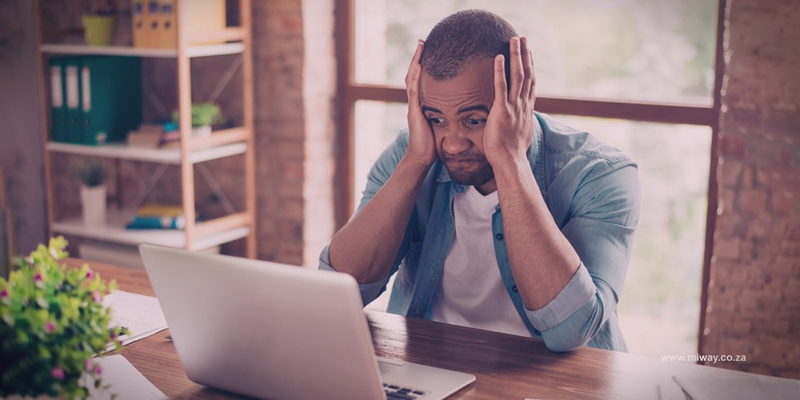 As inevitable as mistakes are in life, entrepreneurs who don’t do their best to focus on avoiding these mistakes are doing themselves and their business damage. Making the wrong choices will cost you time, money, customers, and ultimately the success of your business. You need to maintain a competitive edge and ensure the wellbeing of your team. By being mindful of these 3 mistakes, you will be well on your way to a successful business.